After creating the heaven and the earth, and all the wonderful things that dwell in it, God decided to create a very special being. 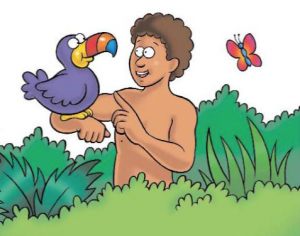 God assigned Adam to take care of all the animals he created. But God thought that Adam needed someone special that can help him with everything that was entrusted to him. 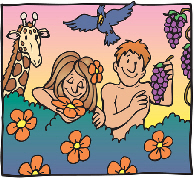 Please listen and share with your children the story of the first man and woman. Next story McDonald’s Happy Meal, reboot!